Offering a lifestyle of luxury, convenience and relaxation, discover the potential that living at The Shoreline holds. Starting from the impressive entrances and lobby areas of the individual blocks, the mix of various layouts, sizes, orientations and views offers living and investment solutions to the most discerning of clients, all in a secure, car-free and access controlled environment located literally seconds away from the Mediterranean sea. Whether relaxing by the pool area, enjoying the landscaped areas and facilities of the Residents Plaza, or simply taking in the scenic walks along the eastern coastline, there truly is something for everyone. The Shoreline gives you the opportunity to live the life and make the most of your day. A stunning 1 Bedroom water`s edge Apartment overlooking amazing, unobstructed sea views. The terrace has a footprint of 22m2 and commands spectacular breath-taking sea views. Stylishly finished and good value for investors. A unique 1 Bedroom Apartment commanding spectacular unobstructed sea views. The internal accommodation comes in the form of open plan/ kitchen/ dining/ lounge, bedroom with walk in wardrobe and bathroom. The spacious terrace also offers panoramic sea views and is ideal for entertaining. Amenities include swimming pool, Retail outlets and others. Car spaces available. A new living concept set in a luxury development in Smart City. Superior Apartment enjoying extensive outside areas in the form of a wrap-around terrace with all accommodation leading directly outside. Luxury living in a safe and car-free community at its best. Superior Apartment enjoying extensive outside areas in the form of a wrap-around terrace with all accommodation leading directly outside. Includes 1 double bedroom having a walk-in wardrobe and ensuite and an open plan kitchen/lounge/dining room. Interior finishes are to the highest standards. Excellent property. Luxury meets functionality in this modern and stylish 1 Bedroom Apartment with panoramic views over the Mediterranean Sea. The full frontage terrace from where you can enjoy breathtaking views and uninterrupted sunshine, and the squarish, open concept living spaces seamlessly merge with the outdoor. Exceptional return on investment and excellent as buy-to-let. This 1 Bedroom Luxury Apartment is bright, sunny and the perfect combination of functionality and modern design. It has a prime location with amazing views of the Mediterranean Sea and endless blue skies. The squarish layout consists of a hallway leading to a kitchen,dining, lounge that leads to a full frontage terrace overlooking spectacular sea views and uninterrupted sunshine. The bedroom which is complete with walk in, and bathroom make up the property. Top quality finish. All is close to amenities, restaurants and retail outlets yet still enjoys serene surroundings.Pleasant appeal and meticulous presentation. Optimal return on investment and easy to let. Prestigious and modernly designed 2 Bedroom Apartment located in a prime site within an area of stunning beauty and magnificent scenery and views. Its spacious full front terrace commands phenomenal, unobstructed views of the Mediterranean Sea. A second terrace at the back overlooks tranquil and undisturbed ambience. Car spaces available. Ideal starter home with a touch of class but also very popular with investors. This prestigious and exquisitely designed 2 Bedroom Apartment is located in a landmark development that has raised the bar in terms of sophistication and luxury in Malta. Set in an iconic position overlooking the Mediterranean Sea, it boasts a contemporary design and provides some of the most panoramic sea views one can imagine. One walks into an attractive reception leading to a spacious open plan kitchen, dining, lounge area which gives access to a full front terrace with unparalleled sea views. Property also comprises 2 master bedrooms (1 complete with walk-in wardrobe and ensuite and the other with ensuite), main bathroom and laundry. Both bedrooms also have access to a back terrace overlooking country views. Car spaces available. Ideal starter home but also exceptional return on investment. This 1 Bedroom Luxury Apartment is bright, sunny and the perfect combination of functionality and modern design. It has a prime location with amazing views of the Mediterranean Sea and endless blue skies. The squarish layout consists of a hallway leading to a kitchen, dining, lounge that leads to a full frontage terrace overlooking spectacular sea views and uninterrupted sunshine. The bedroom which is complete with ensuite, and guest toilet make up the property. Top quality finish. All is close to amenities, restaurants and retail outlets, yet still enjoys serene surroundings. Optimal return on investment and easy to let. A functional 1 Bedroom Apartment enjoying panoramic views of the Mediterranean Sea from the terrace. It features modern décor with modern communal amenities. Top quality finish and easy to let. A remarkable 1 Bedroom Apartment set in a luxury development in Smart City. Layout consists of comfortable open plan/kitchen/dining/lounge, bedroom area with walk in wardrobe and ensuite, main bathroom and laundry/box room. A spacious terrace also overlooks breath-taking sea views and vast horizons. Communal amenities including swimming pool, food and beverages facilities as well as Retail Outlets offered to residents. Car spaces available. Luxury living at its best. A remarkable 1 Bedroom Apartment set in a luxury development in Smart City. 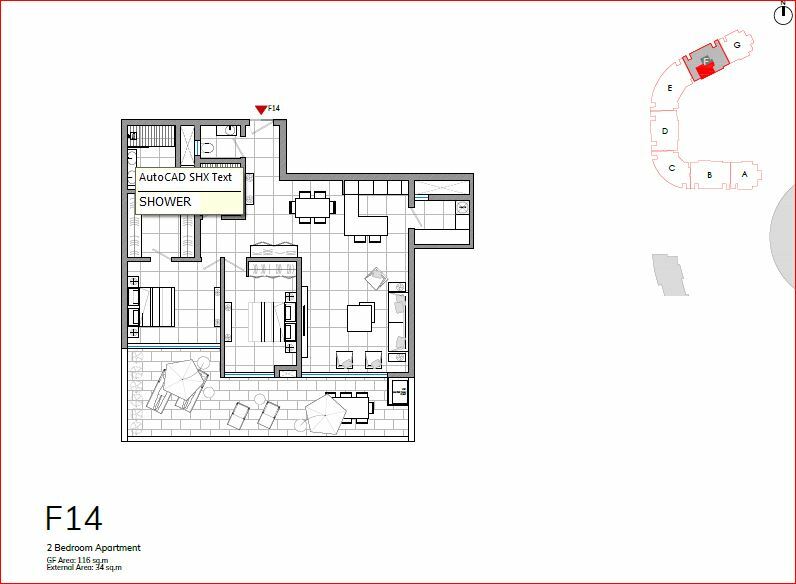 Layout consists of comfortable open plan/kitchen/dining/lounge, bedroom area with walk-in wardrobe and ensuite, main bathroom and laundry/box room. A spacious terrace also overlooks breath-taking sea views and vast horizons. Communal amenities including swimming pool, food and beverages facilities as well as Retail Outlets offered to residents. Car spaces available. Luxury living at its best. Fantastic 2 bedroom Apartment with a lovely square layout and full frontage terrace overlooking super sea views. Practical, bright and spacious internal accommodation flows out into the external areas, making this hard-to-find type of property an ideal home, investment or pied-a-terre. Worth serious consideration. Overlooking stunning views of the azure Mediterranean from a spacious full-frontage terrace, this well-planned 2 bedroom Apartment offers all the space, comfort and convenience one could desire. Entrance into a large open plan kitchen/lounge/dining room, 2 double bedrooms (master with walk-in wardrobe and en-suite), cloakroom, bathroom and washroom/pantry. Offered finished to the highest standards. Easily one of the best units in this prestigious development.